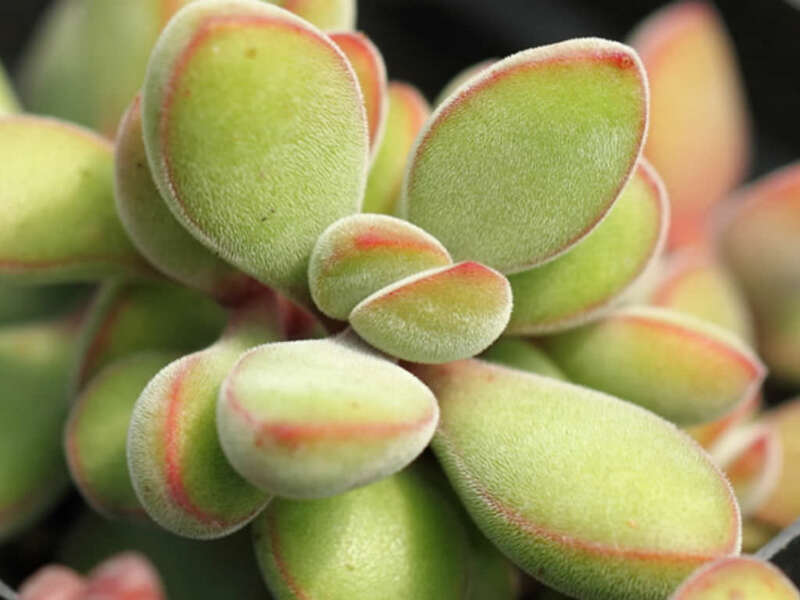 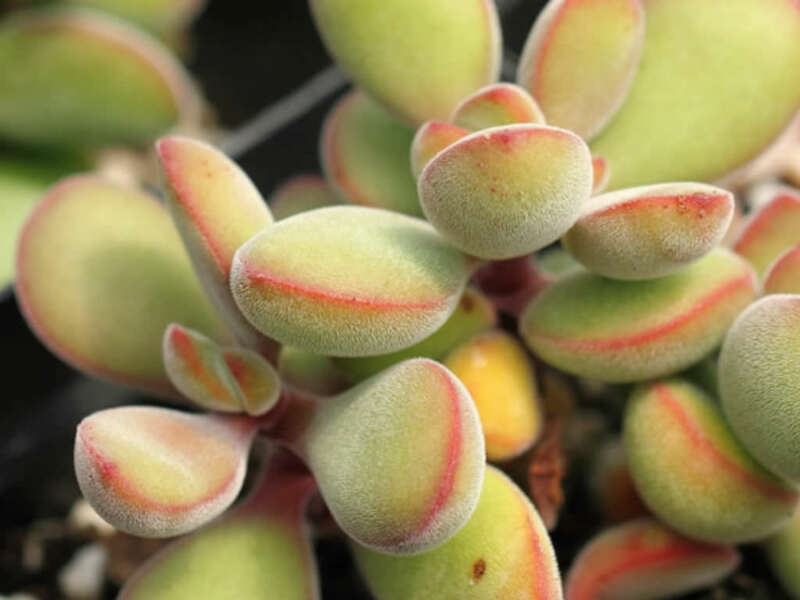 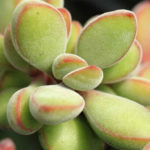 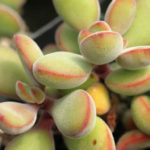 Crassula rogersii is a small, branched succulent bush up to 12 inches (30 cm) tall, with fleshy red stems and club-shaped leaves. 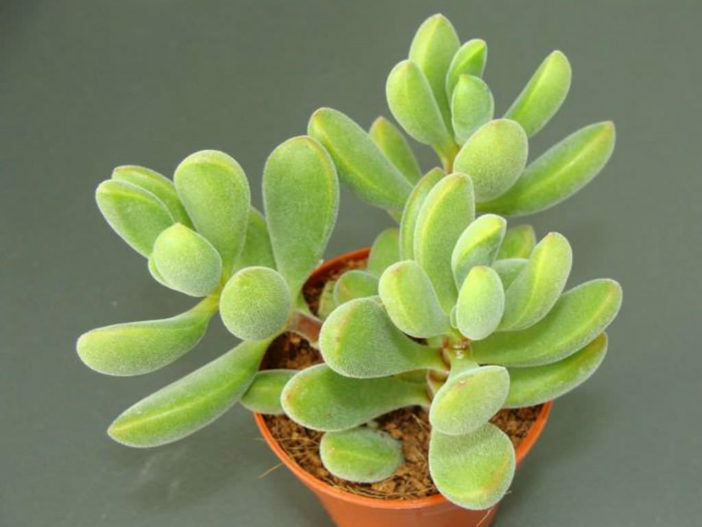 The leaves are covered with short white hairs giving them a velvety appearance and a felt-like texture. 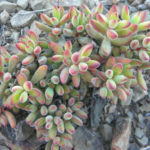 The plant remains green in shady spots but is at its best with plenty of sunlight, where the leaves become tipped with red. Flowers are pale yellow, star-shaped, held in small clusters at the end of thin stems. 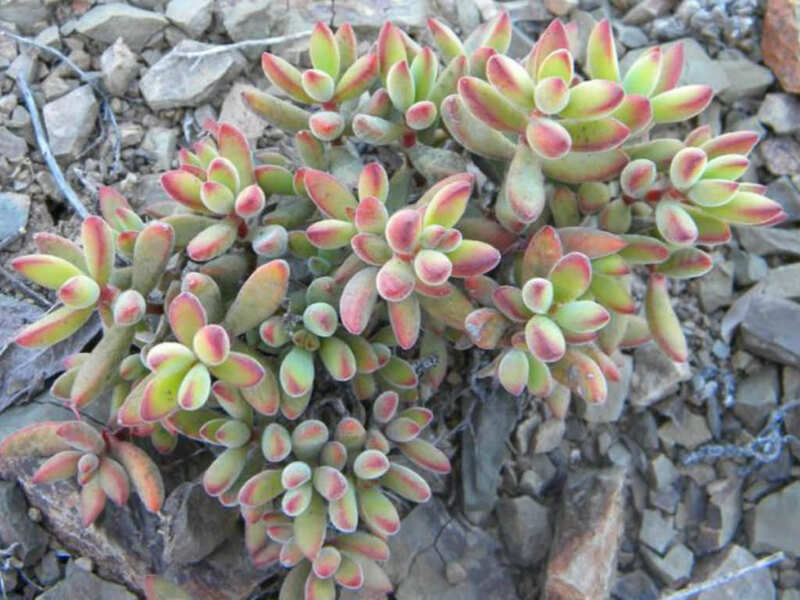 Crassula rogersii is native to South Africa (Eastern Cape Province).